The central region of Marche is a well guarded secret, but once you discover it you are completely captivated and mesmerized by its beauty, just as I am. The region is bordered in the west by the Apennine mountain range with ski resorts and hiking trails. Between the Apennines and the Adriatic coast is a glorious hilly landscape with traditional farming of cereals, vineyards, olive groves and sunflowers. Every few kilometres you come across pretty hilltop villages, fields of gold, sparkling rivers and lakes, castles, fortresses and medieval walled towns. The 180km of Adriatic coastline is lined with a stretch of spectacular blue flag beaches. The region is full of history, art and culture with Romanesque and Renaissance churches, abbeys, monasteries and sanctuaries surrounded by sweet, gentle hills. Many of the greatest architects, artists and writers of the Renaissance period were from Le Marche - Raffaello Sanzio (Raphael), Donato Bramante, Rossini, Giacomo Leopardi and Gentile da Fabriano. ﻿Le Marche has many restaurants with excellent quality and value and boasts an exquisite wine collection including Verdicchio dei Castelli di Jesi and Rosso Conero. My favourite food of Le Marche is Vincisgrassi (a type of lasagne made from veal, lamb and porcini mushrooms) and John's is Brodetto Marchigiano (a stew with up to 13 different types of seafood). 1. Gradara: A medieval fortress, which was the setting for Dante’s Inferno. 2. 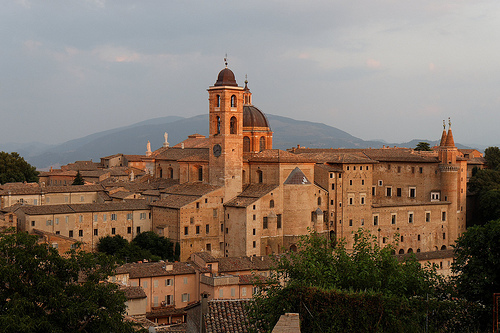 Urbino & nearby Urbania: A Renaissance jewel, the birthplace of Raphael. 3. Pesaro: The birthplace of Rossini, which hosts an Annual Opera Festival. 4. San Leo: This spectacular ancient town on a rocky outcrop is a landmark for miles around. 5. Fano: City of Art, beautiful piazza, modern chic shops, and a huge marina. 2. Loreto (and nearby Porto Recanati): Important place of pilgrimage for the Virgin Mary. 3. Jesi: The hills surrounding Jesi produce the well known Verdicchio and some excellent red wines such as Rosso Conero and Lacrima di Morro d’Alba are also produced in the area. Jesi is the birthplace of Federico II and has four palaces. 4. 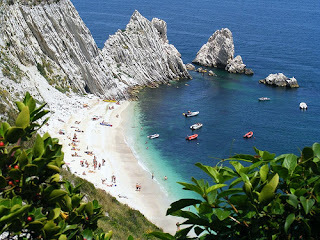 Monte Conero Coast & National Park and nearby Sirolo: magnificent coastline and splendid bays. 5. Fabriano: Famous the world over for its production of the finest art and writing papers. 1. Macerata: It is a truly magical experience to attend the opera on a warm summer's night in the 4,500 seat Sferisterio arena with candles flickering in the darkness and stars twinkling overhead. 2. Treia: Known for hosting an unusual Renaissance ball game and a fantastic cooking festival in mid-May. 3. Recanati: Birthplace of Giacomo Leopardi. 4. Cingoli: Hill-town surrounded by forests, with a sweeping panorama to the Adriatic. 5. Appignano di Macerata: Surrounded by amazing scenery and known for its furniture and pottery. 1. Moresco: You can find many castles and churches with frescoes here. 2. Fermo: Town with many historic attractions including the memorable Palazzo Romani Adami. 3. Torre di Palme: A visit to the romantic Il Galeone Osteria is a must. 4. Porto San Giorgio: An ancient fishing port. 5. Porto Sant’Elpidio: Beautiful coastal town. 1. Ascoli Piceno: Perhaps the most elegant town in Le Marche. Interesting food and architectural gems can be found in this relatively undiscovered medieval town. 2. Grottamare: Exotic beach with golden sands and pine trees. 3. Cupra Marittima: Picturesque seaside resort with a unique shell museum. 4. Sibillini National Park: Winter sports and ancient mountain passes. 5. San Benedetto del Tronto: The second most important fishing port in Italy. 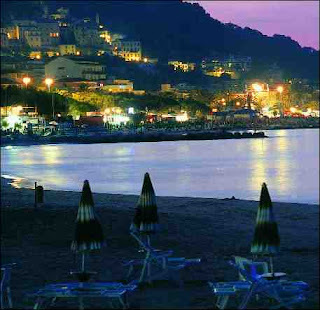 It is one of the main seaside resorts 'Riviera della Pale' on the central Adriatic coast and has a long beach of fine white sand and shallow water. 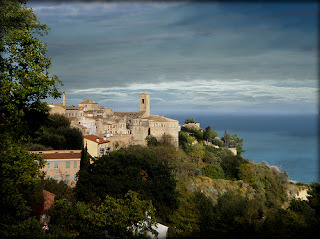 Have you been to Le Marche? What do you think are must-see places there? Fabulous post with great info! We only spent 5 days in Le Marche, but we love it-so unspoiled and untouristy. When we do return we definitely use your suggestions. Thanks! Thanks Janie! Nice to know that you are also a fan of Le Marche and that these suggestions will be useful to you when you return! Well done, Nora! It's a real encyclopedia of Le Marche. 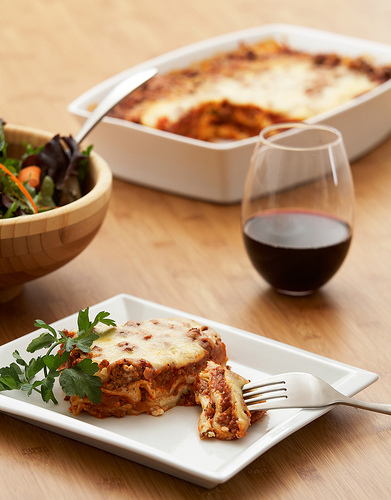 You are an expert number one for Le Marche. I'd love to visit it in summer. Grazie Tatiana! We will be visiting Le Marche again this summer. Maybe you would like to join us this time? Great list of places to see in Le Marche - a rather unknown, but beautiful, area of Italy. Thanks Alex! I'll be writing more about these places in the future and hopefully visiting again this summer. There is so much to see there! Love your tips, totally pinning and sharing now because I think they're great. When I was in Marche I got so lost but it was wonderful. I loved wandering around aimlessly, it was luxuriously relaxing.